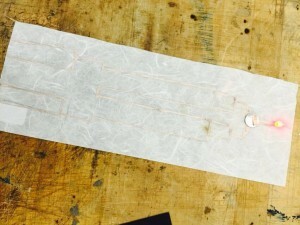 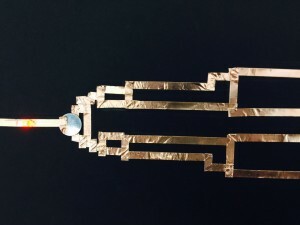 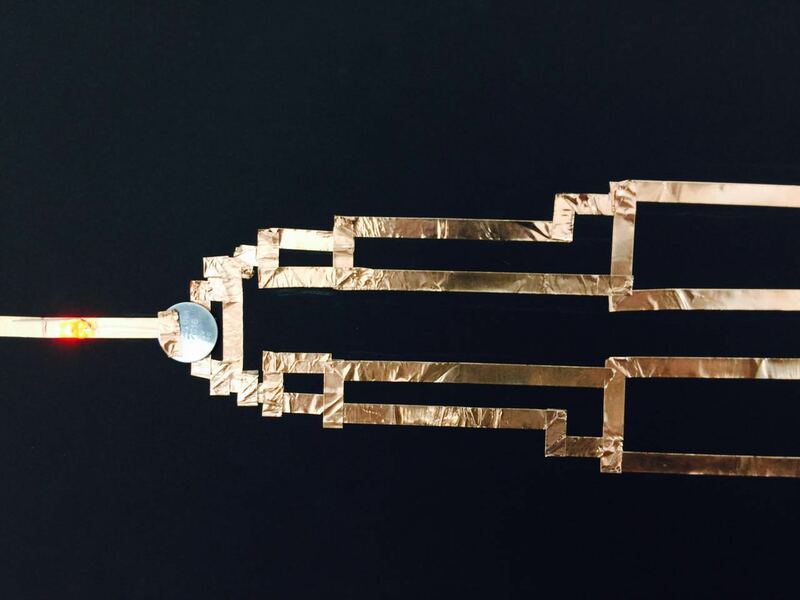 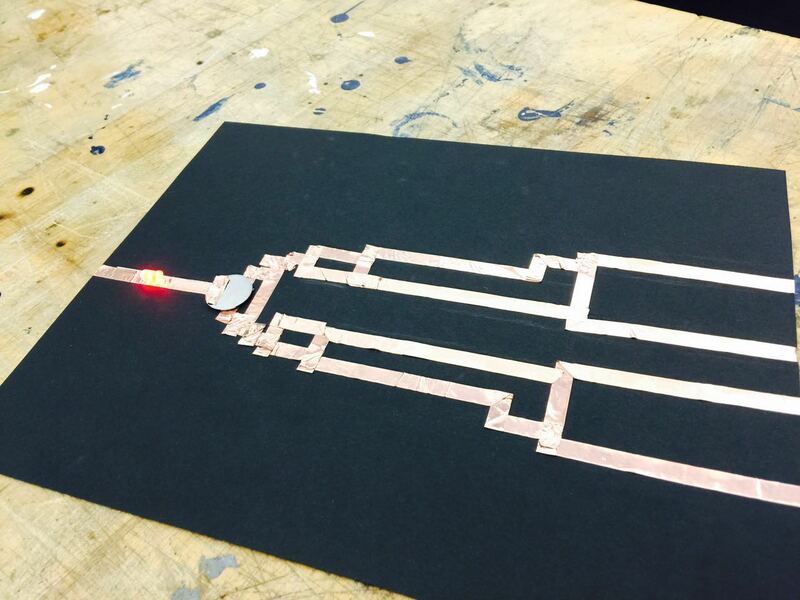 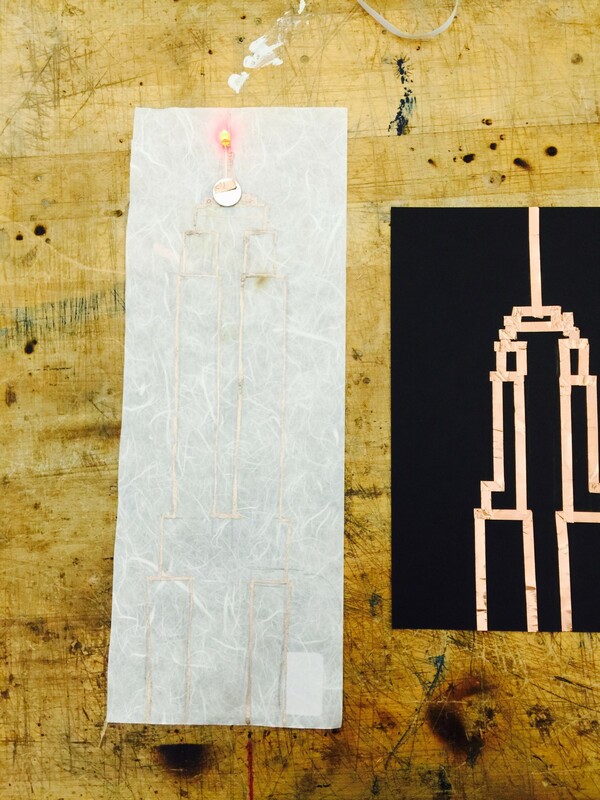 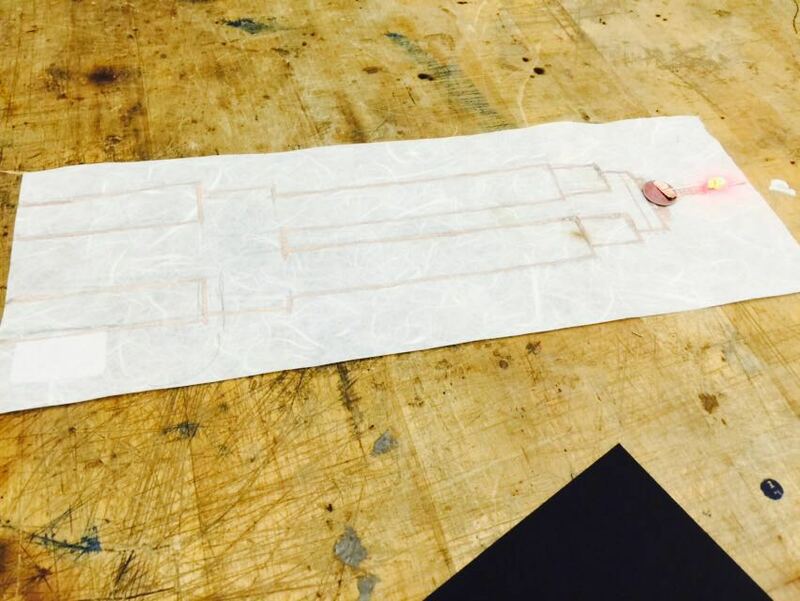 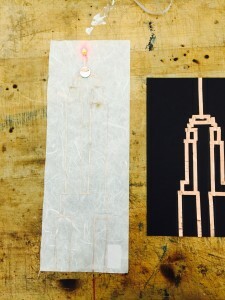 Using conductive ink and conductive tape make two Empire State Building circuits . 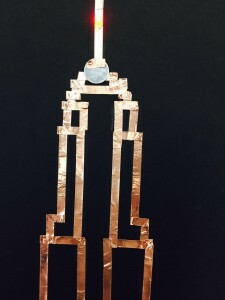 LED light up on the spire of building. This entry was posted in Week 2: Crafting a Path on September 15, 2015 by yangc901.